Taos is different from any place you’ve hiked. Because spectacular views await –– whether you’re bagging a high alpine peak or ambling along a flat mesa trail. But a successful day on the trail depends on preparation. We feature the top brands you recognize and trust. 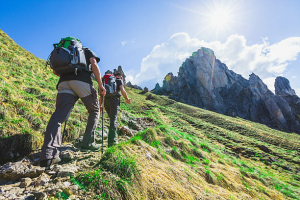 Come in and let us help you select your wide range of hiking clothing, footwear, and gear. We also have a wide variety of maps to help you locate the perfect trail. Our staff knows the local trails and stays up to date on the trail conditions. Stop in for recommendations for the perfect hike!